Water is life. Seems like a pretty simple concept. Not surprisingly, many of the memories and photographs my family have involve and cherish water. There was a time I thought that because my wife came from the West Coast, we placed more value on water-ish things. But then I remembered some of the things I did growing up in land-locked Ontario. Water was ever present. There were the cottages my grandparents owned along the Ottawa River, learning to sail at my aunt and uncle’s cottage in the Thousand Islands on the St. Lawrence River, playing in a river with my best friend John and then the two of us almost getting swept away (best photo I wish I had — John’s dad took a great shot of us that exists for me now only in my memory), earning my swimming bracelet at camp, playing in the ocean and on the beaches of Barbados, having a swimming pool in high school and a hot tub in university. That’s a lot of water, and it doesn’t even include snow, which we get a lot of in Ottawa. Not bad for a kid who grew up in Ontario. When I met my wife and she explained the wonders of BC to me, I didn’t really get it. I should have known, really, the significance of water since the month after we started dating we took a trip to Biddeford Pool, Maine. There isn’t much to do there except sit by the ocean and listen to the waves. But I didn’t clue in. So what, I thought, you lived in a city that was on the water and close to mountains. Sure you still thought of Vancouver as home even though you hadn’t lived there for 8 years. Big deal. Turns out I was wrong. It was and is a big deal. We take our kids there every other year, more often if we can manage it, because there is something amazing about being on the water. 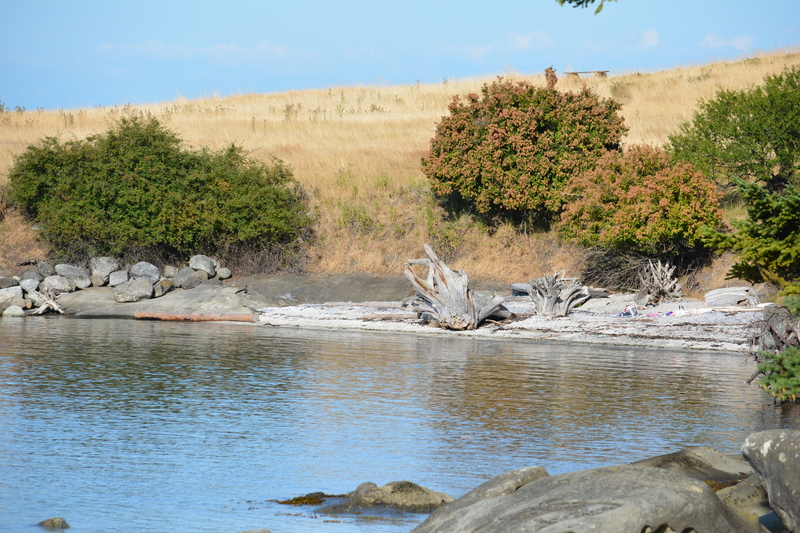 Our first stop is inevitably the beach at Spanish Banks. 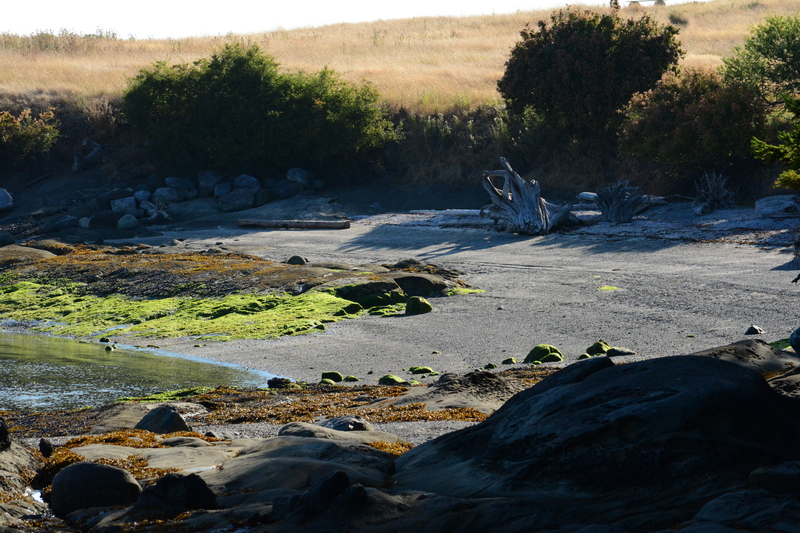 We stay with family who live near the Fraser River, and we rent cottages on the Gulf Islands. The years we do not go west, my wife always find a way for us to spend time on the water, whether it be visiting friends at their cottages or renting our own in Western Quebec or in Maine. We love those trips because we see family and we re-energize even though we’re always doing something. 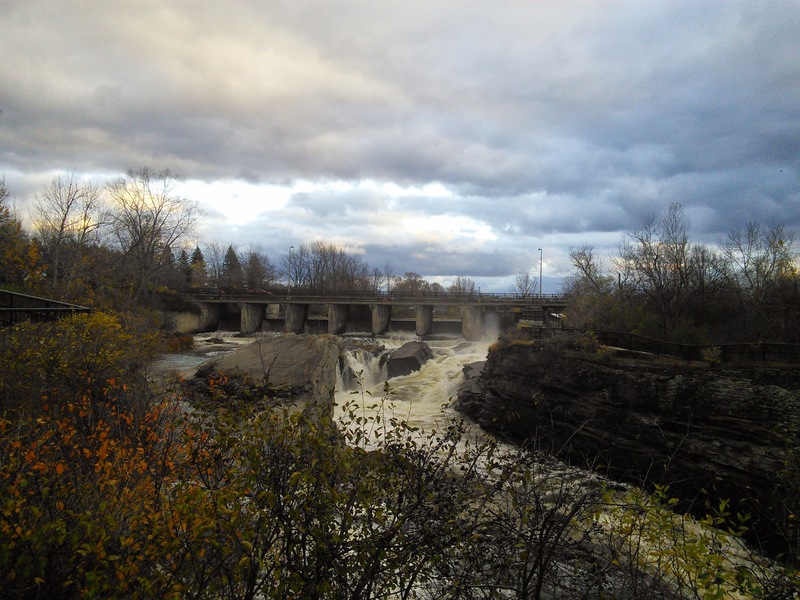 So with all this thinking about water, and trying to always capture a new photo for this experiment I’ve undertaken, I made a point of stopping at Hog’s Back Falls on my way home from work. 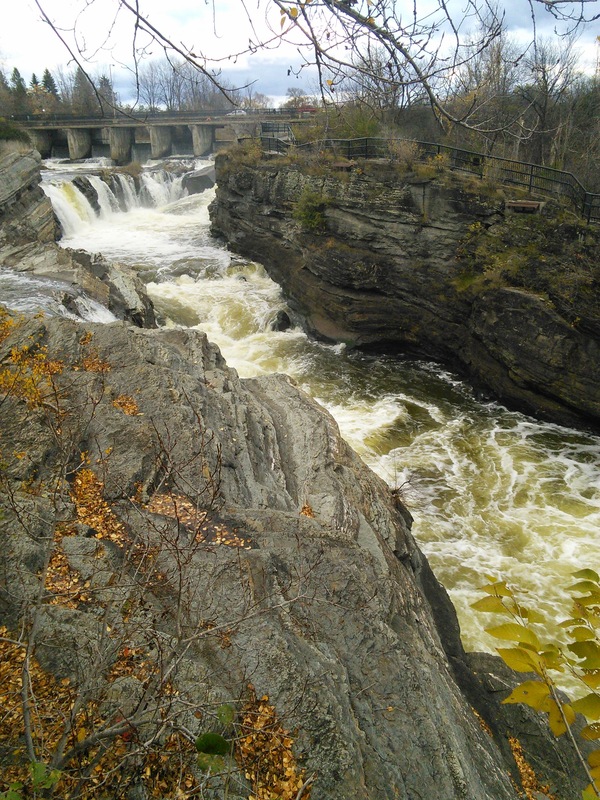 I have visited this place many times in my life because of the magnificence and power of the water moving over the falls. 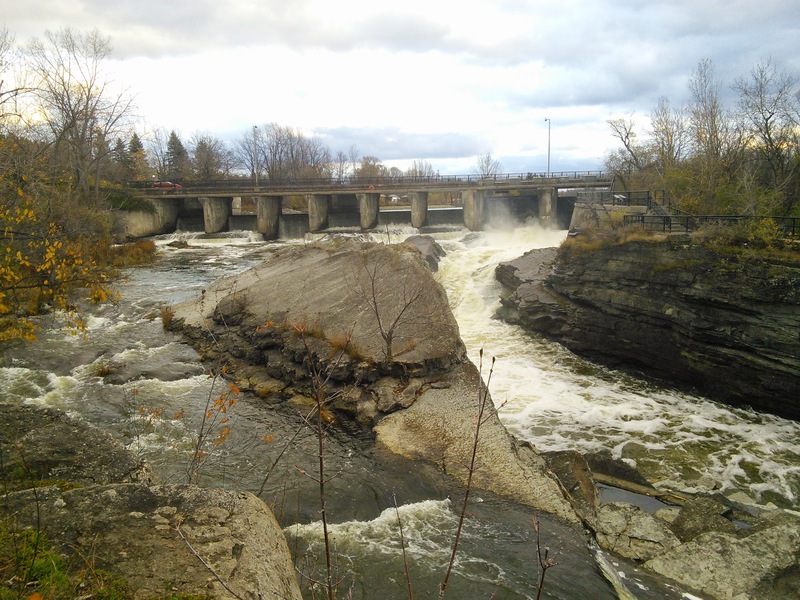 I often wonder how many people who drive over the bridge ever stop to see the falls. If they have any idea of what goes on just below their cars. 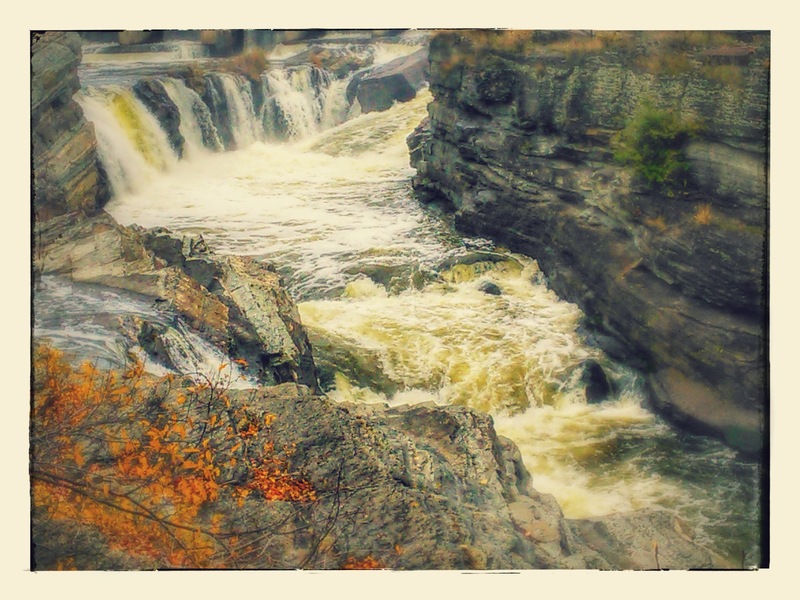 Here is a series of shots from the east side of he Hogs Back Falls taken with my Nexus 7 tablet. So that’s what I came up with today. But because I’m also trying to cover my Blogging101 task for the day, I’m going to throw in a couple of other things. Thanks for wading through to the end of this post. ← Blogging101: Say “HI” — Can you hear me now?